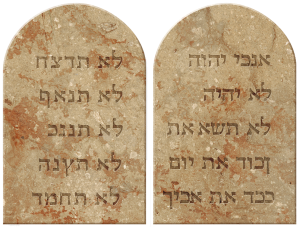 Yom Kippur/Day of Atonement is the holiest of Jewish Festivals, second only to Shabbat. It is at this Holy Day, that the High Priest would make atonement for himself, his household and for the entire community of Yirsrael. 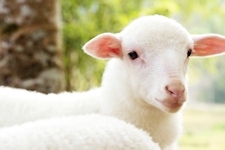 Some of the theme of Yom Kippur has to do with a perfect lamb, a perfect priest and a perfect sacrifice. We believe that Yeshua fulfills the prophetic of what Yom Kippur is about. Yom Kippur is a 25-hour day of fasting for those who are able and willing to participate. Everyone is encouraged to dress in white or light colors. This is the only time where men wear their tallitot at night. Leviticus 16; 23:26-32; Acts 21:17-32; Hebrews 9. One of the most joyous of the Fall Festivals, it is also known as the Feast of Tabernacles. 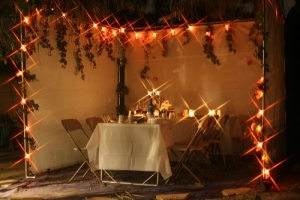 We build temporary tent-like dwelling places or “sukkot” which are decorated with fruits and vegetables overlaid with myrtle, willow and palm tree branches. The reason we put up sukkot is that they are a symbol of the wondering in the wilderness for 40 years and is a poignant reminder that our dwelling places (homes) are temporary compared to the mansions G-d is preparing for us. Finally, at the end of days, HaShem will command all the families of the earth, to go to Jerusalem to celebrate the Festival of Sukkot. Leviticus 23:33-44; Zachariah 14:16-19. The Eighth Day of Assembly is separate from Sukkot, but still connected. It is if HaShem is saying to the children of Israel, “Let’s stay together just one more day…don’t go yet.” This Festival is considered a Shabbat. Scholarship within the Messianic Jewish Movement and within Biblical Christianity has determined that Yeshua would have born the first day of Sukkot and then circumcised the Eighth Day – Shmini Atzeret. Therefore, this Holy Day is linked with history, agriculture, and the miracle-workings of G-d. Leviticus 23:36; Luke 2:21-28. First of all the questions. How do you spell Hannukah? Answer: However you want, as long as it sounds like Channukah. What about giving gifts on Hannukah? Yes, you can do that. Some people give none, some give one, some give one every night of Hannukah. Take your pick. The lighting of the Hannukah candles is popular EVERYWHERE Hannukah is celebrated. It is often called “The festival of lights” after all. Songs are sung as the Shamash (servant) candle is used to light each other candle, traveling from right to left over the course of the eight days. Dreidel is often played. The traditional story behind the playing of dreidel is that under the Greeks the study of Torah was illegal, so the Jews devised this game to hide the fact that they were studying the sacred instruction of G-d. You know, when the police show up everybody is gambling. How funny is that? Gambling made the perfect front for the illegal study of the loving precepts of G-d. There are four sides of the dreidel. Outside of Israel the four Hebrew letters are Nun, Gimel, Heh, Shin. It represents the Hebrew phrase “Nes Gadol Haya Sham” , or “A great miracle happened there”. Inside of Israel the last letter is changed from a Shin to a Pe, thus, ”A great miracle happened here”. If you can remember the names of the letters you know all the rules of the game. 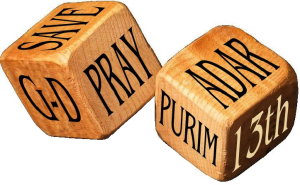 Nun=none, Gimel=get, Heh=half, Shin=put some in. They all refer to wether you are putting gelt (chocolate coins) into the pot or receiving and how much. There you go, that was easy, huh? But how about the biggest of all Hannukah questions, what is it and is it in scripture? The story about the oil lamps in the Temple burning for 8 days on only a one day supply of oil is legendary, it may in fact be true. It was passed down verbally for a while before being recorded in the Talmud. However there is a history behind it. The festival of Hannukah IS the festival of Sukkot (Tabernacles), celebrated at a later time of year, in the middle of winter. Why would the people celebrate it later? Because the Temple of G-d was desecrated and under the control of VERY pagan Greeks at the time that Sukkot should have been celebrated. So what happened you say? The history takes place in what is the “post Biblical” period, or “Intertestimental” period. After the time that Malachi is written but before Yeshua (Jesus) comes on the scene in Israel. At the end of Malachi Israel is a Medio-Persian Vassal kingdom with great autonomy, and when Yeshua arrives they are a two Roman vassal kingdoms with little to no autonomy. So what happened in the meantime? Alexander the Great happened. Alexander the Great swept through the region, conquered everything, and then almost immediately died. Having no child, his kingdom was divided between four of his generals. Jerusalem went back and forth between being controlled by the Seleucid king reigning from Damascus, Syria, and the Ptolemeic king reigning from Egypt (hence Alexandria Egypt). You can read about this history, as written in advance in Daniel 11 and 9. Antiochus IV Epiphanes became the Seleucid king around 175 B.C. The various Seleucid kings named Antiochus is from whence cometh the city named Antioch in the time of Yeshua. Antiochus Epiphanes was a pretty bad dude as they come. He was considered even by many of his Greek subjects to be quite insane, Thus they would call his name Epimanes “The Mad One”. When he captured Jerusalem he installed his own high priest in the Temple, not of the order of the Aaronic line. He first slaughtered many men, women, and children. Then the insane Jew-hater outlawed all Jewish practices and ordered all Jews to worship Zeus. The book which records this history for us is the second book of Maccabees, an apocryphal book, included in the Catholic Bible. He brought idols into the Temple of G-d, sacrificed a pig on the altar, and tortured and killed Jews caught in the practice of Judaism. Jewish women who had their babies circumcised were paraded through the streets of the city, naked with their babies, then thrown down from the wall of the city. There is a famous story of a woman and her seven sons who were caught in the practice of Judaism. They were forced to eat pig in public as a sign that they forsook the G-d of Israel and honored Zeus instead. Each one of the children refused and was killed in front of their mother, and then their mother last of all. While these practices weakened the resolve of many Jews and they became Hellenized (Greek-ized), for others these torture tactics only galvanized their resolve. Judah Maccabee “The Hammer” took up the reigns of a Jewish revolt which had been started by his father. They regained control of the Temple. There was a time of cleansing the Temple, a high priest from the Aaronic lineage was reinstituted, and then the Temple was ready for rededication. You may have heard of Hannukah as the “Feast of Dedication”. Sukkot is the most joyous of all Biblical holidays, having multiple times more offerings than all other holidays. 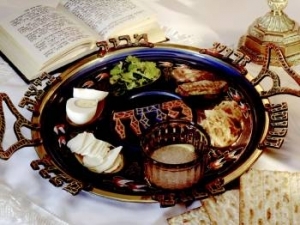 It was the festival which Shlomo (Solomon) utilized as the feast to dedicate the very first Temple of the G-d of Israel at that site in Jerusalem. Sukkot was the festival which was used when Hezekiah and Ezra dedicated the second Temple. The feast of Sukkot had been missed since it was under the control of the “Mad man” king. Thus, the Maccabees thought it a good idea to celebrate Sukkot, even though it was wintertime. They chose it to celebrate the rededication of the Temple. Hence the eight day festival of Sukkot, and the eight day festival of Hannukah. Sukkot had always been a festival of peace, joy, freedom, and intimacy with G-d. With Hannukah that same truth is combined with the knowledge that freedom isn’t free, and “He who loses his life for my sake will keep it”. Has there ever been a celebration like the one when Israel won the war of their independence in 1948? Has there ever been a celebration like the end of the second world war in the 1940s that led to what is called a “baby boom”? How about Yeshua? 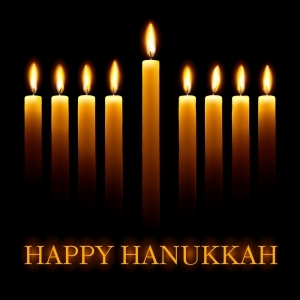 If this holiday existed before the time of his birth and life, did Yeshua celebrate Hannukah? First of all it is believed that one of the traditional readings around the time of Hannukah was Ezekiel 34, although some time AFTER Yeshua that tradition was changed. Ezekiel thirty four states G-d’s dissatisfaction with those who currently shepherd Israel, and that He Himself will be their shepherd and “I will demand my sheep from them…I will deliver them from their mouth…I will care for My sheep…deliver them from the places they have been scattered…I will feed them in a good pasture…I will seek the lost, bring back the scattered, bind up the broken and strengthen the sick…” and,” Then I will set over them one shepherd, My servant David, and he will feed them; he will feed them himself and be their shepherd. “And I, the L-rd, will be their G-d, and My servant David will be prince among them; I the L-rd have spoken. “I will make a covenant of peace with them”. Well, Yeshua is clear when you know the context of his statements. Happy Channukah ya flock of sheep! The Feast of Lots, is observed on the fourteenth day of the Hebrew month of Adar (February-March). This is a celebration of the deliverance of the Persian Jews over one of the most dastardly plots in history to exterminate the Jewish people. The book of Esther in the First Covenant tells the story of how the beautiful Jewish woman Esther (Hadassah) and her cousin Mordecai thwart the evil Haman, who plots to massacre the Jews. 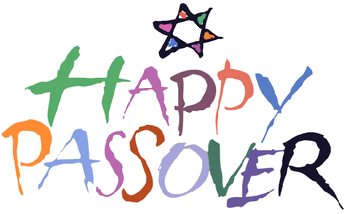 Pesach in Hebrew means, “passing over” or “protection”. This is derived from the instructions given to Moses by G-d in Exodus 6:6-8. Moses was chosen by G-d to lead the Yisraelites out of Egypt. When the lives of the first-born of Egypt were taken, those Yisraelites who had followed G-d’s command to put the blood of the lamb on their doorposts, were “passed-over”, sparing the lives of their sons. Yeshua is our Passover Lamb – His blood covers us and we are “passed-over” when eternal death is what we deserve. Through acceptance of Him, we are saved, like the sons of Yisrael. The Day the Torah was given. This is the celebration of the monumental encounter between G-d and the Yisraelites at Mount Sinai, an event which changed mankind forever. 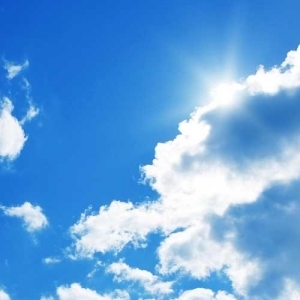 Pentecost, as it also called, not only memorializes the first giving of the Law written on tablets of stone, but it also memorializes, on the same day many years later, the giving of the Ruach HaKodesh (Holy Spirit) as written in Acts Chapter 2. The Law of G-d is written in the heart of the believer, as it states in Jeremiah 31:33.